When I start to discover the work of a classic band that I've somehow overlooked over the years there's a certain amount of luck involved in where I begin. (That's just one of the many reasons that ProgArchives is so relevant and valuable.) The honest ratings and reviews by people in the know usually steer folks like me in the right direction. Accounting for individual taste in music, that first impression can make or break the deal for me with groups like Gentle Giant and I was fortunate enough to get my mitts on "Octopus" and then "Three Friends" in that order. I was delighted with what I heard and that's a good thing because had I picked up "Interview" initially I may never have known why they are so heralded by so many. This being their fourth LP since the departure of Phil Shulman, I find it to be lacking in the charm department that so endeared me to the two aforementioned albums. Due to the admiration evidenced by their fans, I have no doubt that the intervening records have great merit and many incidents of excellence to revel in but this one makes me wonder where the magic went. After some muffled room noises, the album's namesake song bolts right into a rather unnerving, disjointed jumble of sounds staggering along underneath Derek Shulman's screechy vocal. The verses are separated by a mellower electric piano but the harshness of the overall atmosphere never lets up for long and it grows tiresome quickly. I can understand Derek's exasperation over still being asked repeatedly about brother Phil's departure three years earlier but there's no excuse for taking it out on the listener's ears. "Now that he's gone/turn off our faces/wait for the new man to arrive/soon the same song/sung for the next one/saying our piece/though not alive," he screams. There's a too-brief but delectably wild piano solo midway through that's intriguing but a segment consisting of strange guitarisms from Gary Green splattered over a jerky track comes stumbling right on its heels, ruining the moment. "Give it Back" follows and, while the clever 12/8 reggae-tinged pattern they establish is a nice change of pace, it still falls short of being either tantalizing or engaging. The lead break has no flow to it and the melodies have nothing memorable to offer. Once again the band's career frustrations surface in the dry lyrics. "Haven't had much in a long time/hoping that change is going to be mine." Derek intones. Sorry, boys, I'm just not feeling the love on this one. But all is not lost. "Design" has a lot of the elements that drew me willingly into the world of GG, starting with their trademark intricate madrigal-style vocalizations that set them apart from the prog pretenders. They have the ability to display a unique knack for creative thought and imagination in their music that's astounding at times and this is one of those occasions. When John Weathers' drums and percussion leap into the fray the mood changes slightly but the song maintains its noble character as they tactfully blend the contrasting aspects of the tune into a cohesive whole. Even the tribal freak out at the end is not out of place. The wistful words capture the essence of a man who is looking back on his life. "His dreams as a boy/were of hope and intention/of making his mark/with his plans and invention/where did they go/how could he know how time goes?" he sings. Unfortunately the bliss doesn't linger as "Another Show" marks a return to the frantic frazzle, this time augmented by Kerry Minnear's drunken, slurring Hammond organ that's as bothersome as a whiny three-year-old rug rat you can't ignore. Derek's stressed out, tortured vocal doesn't do the song any favors, either, as he somehow manages to make the words about life on tour seem like he's talking about being waterboarded in an Iranian prison. "Lock the door and go/heads still in a daze/throw the keys away/lost all count of days." he complains. Hmm. Performing your art for thousands of adoring fans and getting paid for it. And I thought MY job was drudgery! A breather is vital at this juncture and, thankfully, they supply one with the calmer acoustic guitar approach on "Empty City." The song gradually escalates into a rocker for a while but they graciously reprise the softer tones and tranquility is restored. Bassist Ray Shulman's violin lends a refreshing flavor and the ever-changing arrangement keeps the listener on his toes throughout. The subtle lyrics about a girl leaving her hometown are succinct yet simple. "Timing" is next and it's back to the buzz saw. Its edgy, brittle foundation brazenly steals from what otherwise is an energetic, smoother-moving number and now I'm starting to want to strangle the studio engineer for not clamping a muzzle on this grating endeavor. I'll admit that the faux rock & roll satire in the middle induces a grin or two but Green's shrill guitar solo is shameful. Here Derek continues his tirade about his chosen profession. "See now, like cat then mouse I move/they move, the game hasn't an end." he rues. Enough already! At least the finale, "I Lost My Head," doesn't make you run for the Excedrin bottle. It's a very intricate acoustic-instrument-driven jazzy thing that cleverly drops into a madrigal atmosphere between the verses as smooth as a car salesman's pitch. Kerry's synthesizer sounds like a small piccolo on the interim section (cool) and the group eventually elevates the groove into something more driving as they adopt an almost Zappa-ish riff to cruise underneath the vocal. As if expressing remorse for the caustic sentiments that run through the album in general, Derek warbles "Everything's true, but everything lies/it's so hard to try to explain it." Well, mom always said if you can't say something nice then don't say anything at all. It's not becoming. What it all boils down to is this. 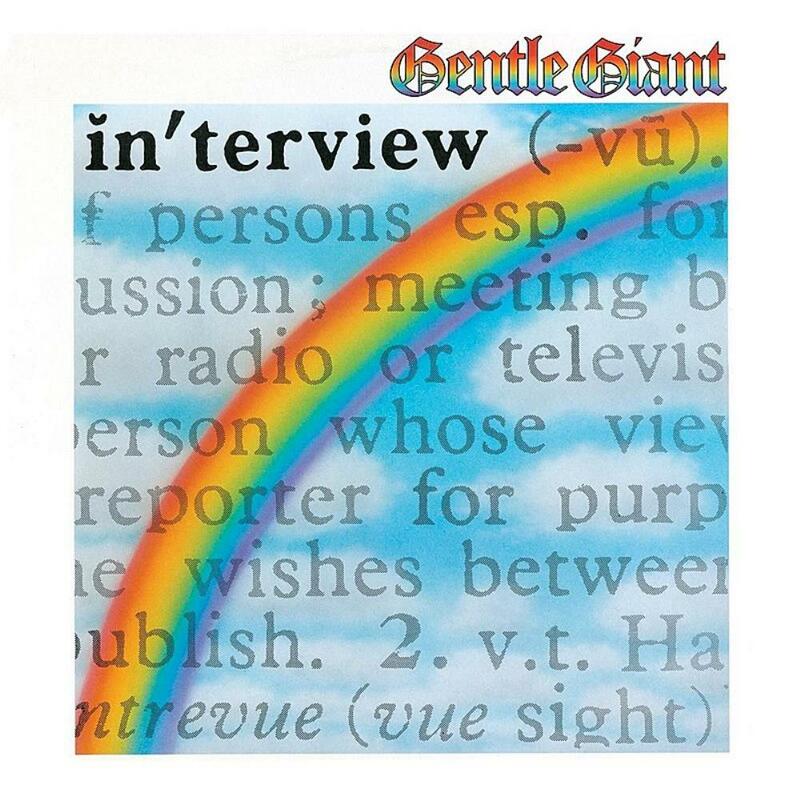 If you're new to Gentle Giant land then start with another album before grappling with this one. A glance at the opinions about this particular recording will reveal that some proggers truly enjoy this in-your-face extravaganza and more power to them. I don't. I read somewhere that, in hindsight, the band thought that this project signified the beginning of a downward trend in their creativity and I have to agree. It just doesn't measure up to their earlier works. 2.3 stars.